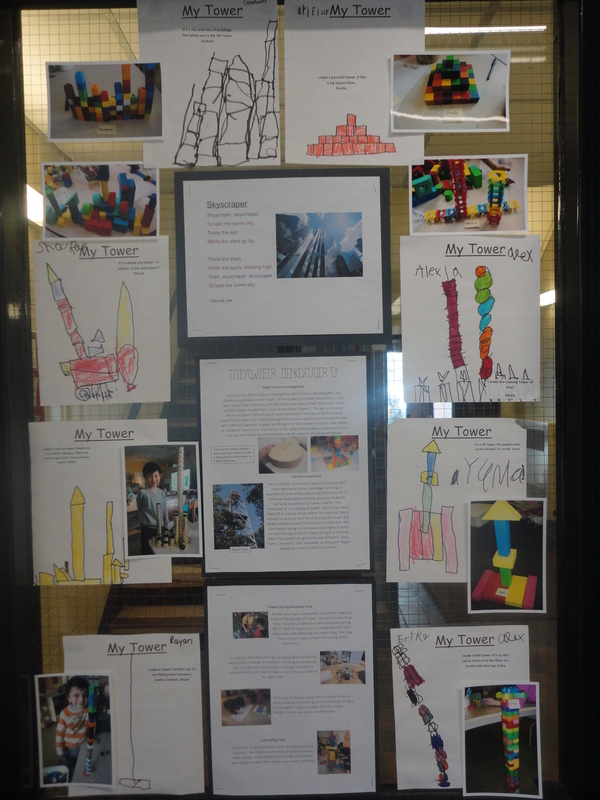 As part of our Math and Science Investigations (M.S.I) time in Kindergarten, our students explored a tower inquiry (In a previous post I wrote about Math and Science Investigations (M.S.I.) 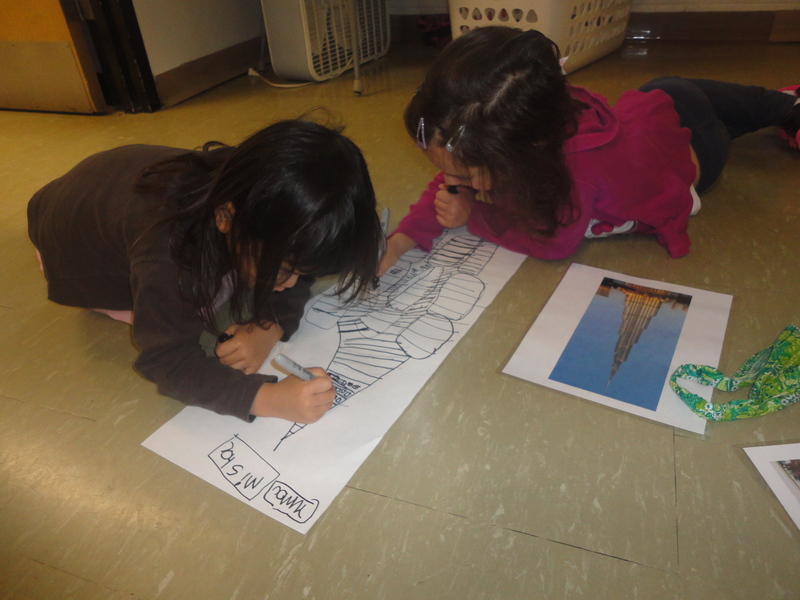 and how it drives a lot of inquiry in our classroom. 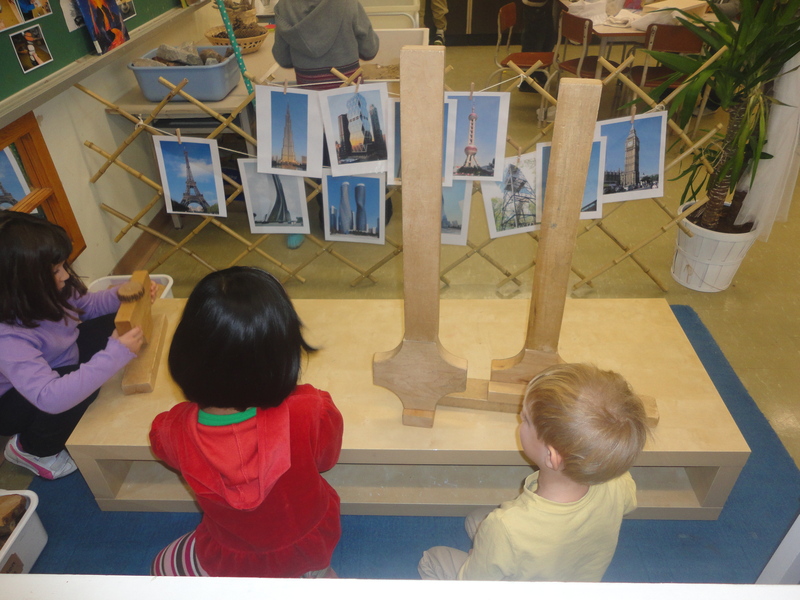 You can read about it here: https://thecuriouskindergarten.wordpress.com/2014/03/29/math-and-science-investigations-m-s-i/ ). 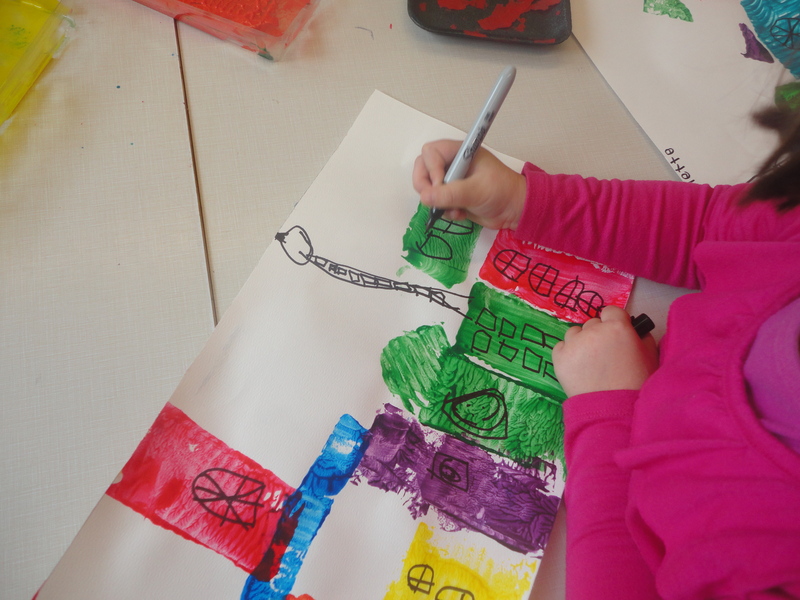 When students first learn about M.S.I., they learn about how to build up with the blocks they have chosen. 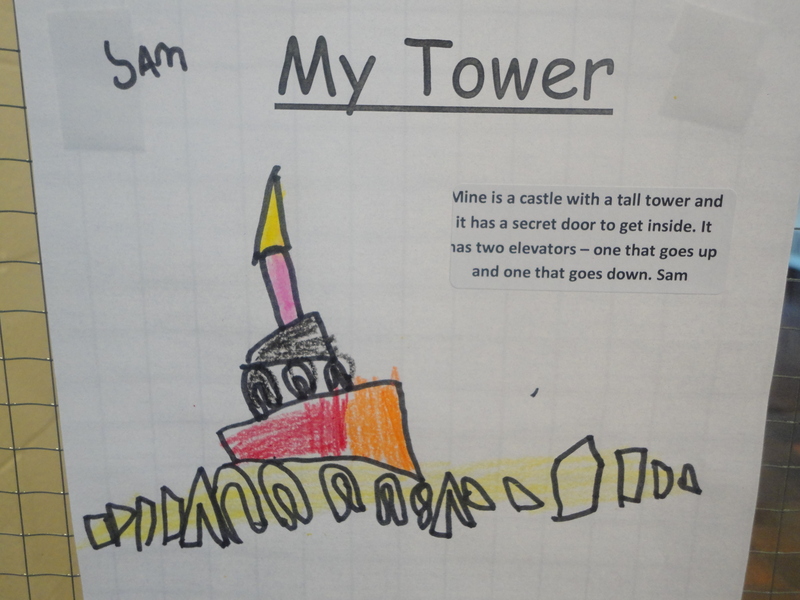 As a result, many children began to label their initial structures as “towers.” This got us thinking: What is a tower? 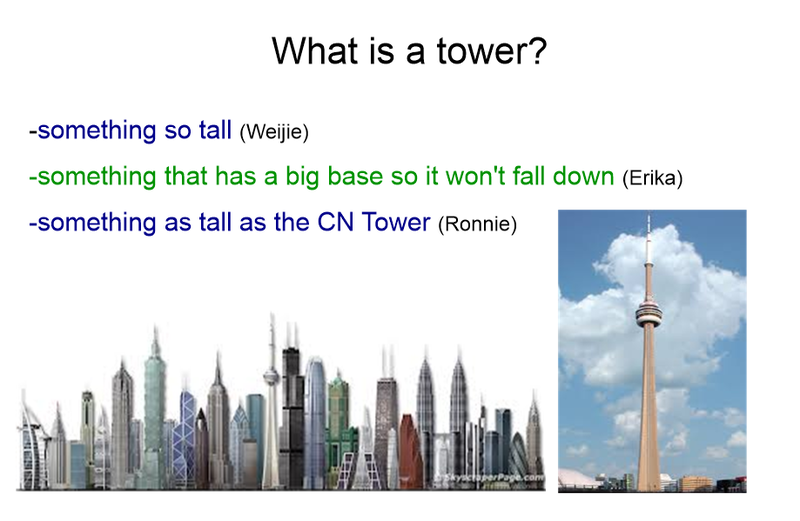 What kinds of towers are there? 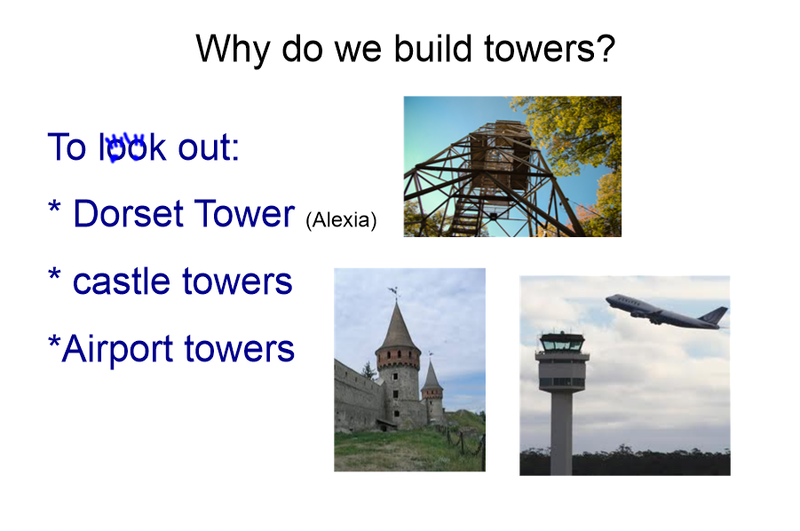 How do we build a strong tower? 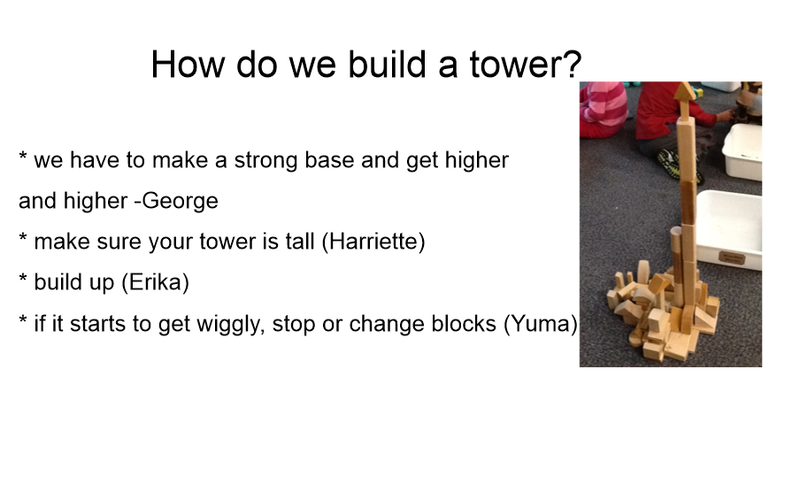 Each week, the students thought about these questions and experimented with different materials, shapes, and designs for their tower structures. 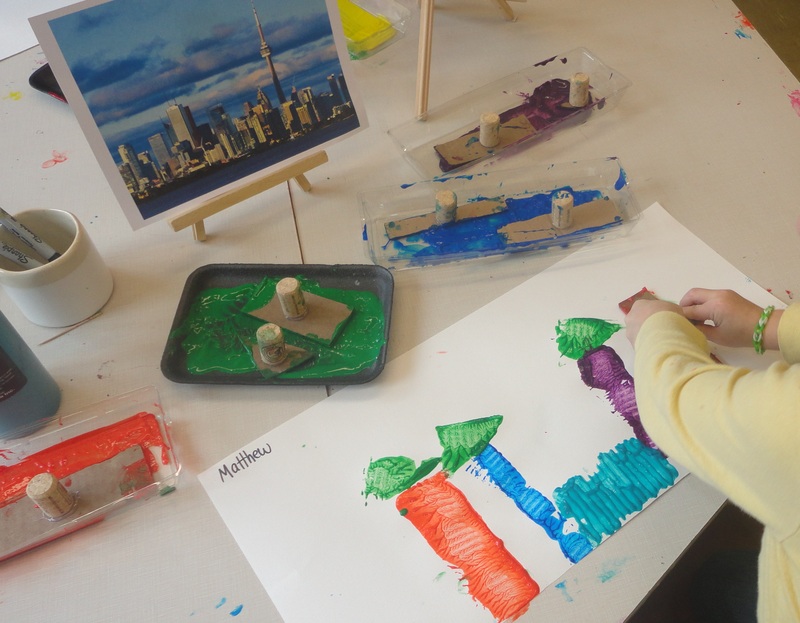 We looked at models of towers from around the world, talked about towers in our community and city, and talked about how towers can be useful in structure and design. 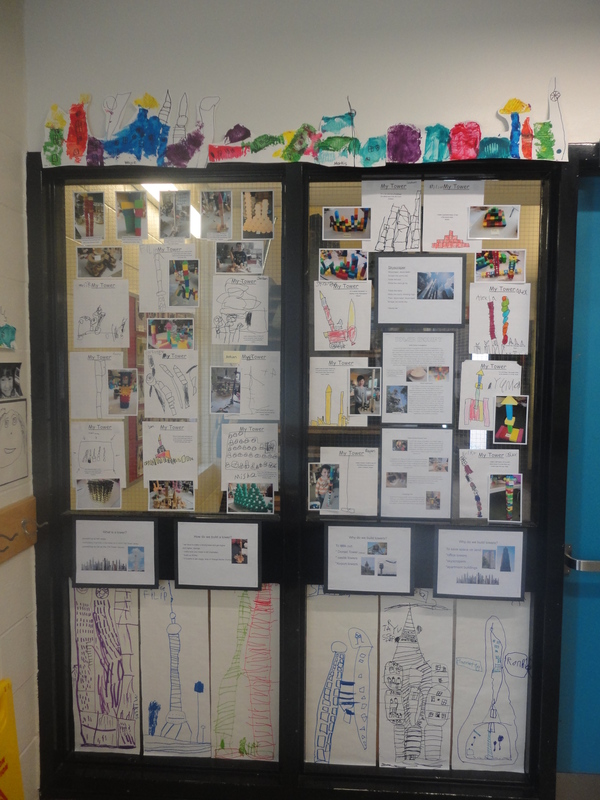 As the children shared their learning at school with their families at home, they began to bring in examples of towers they had visited. Part of our M.S.I. time was dedicated to hearing about our students’ personal experiences at towers nearby. 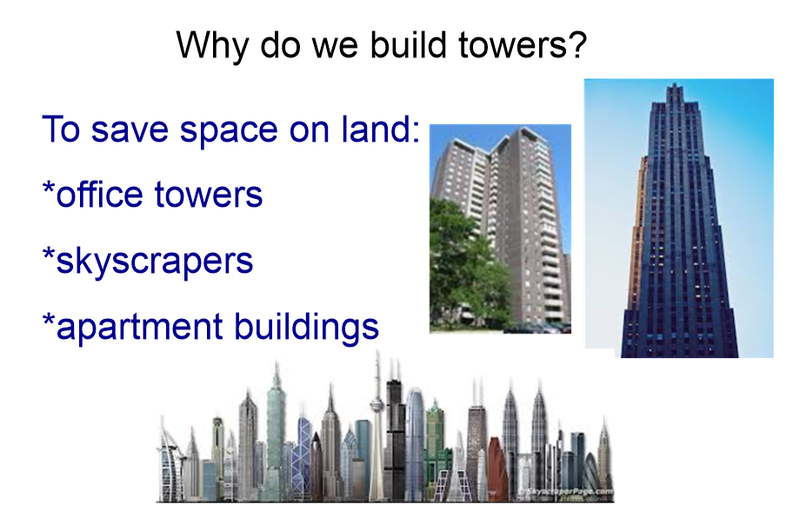 This introduced us to a variety of towers that we had never heard of or learned about before. 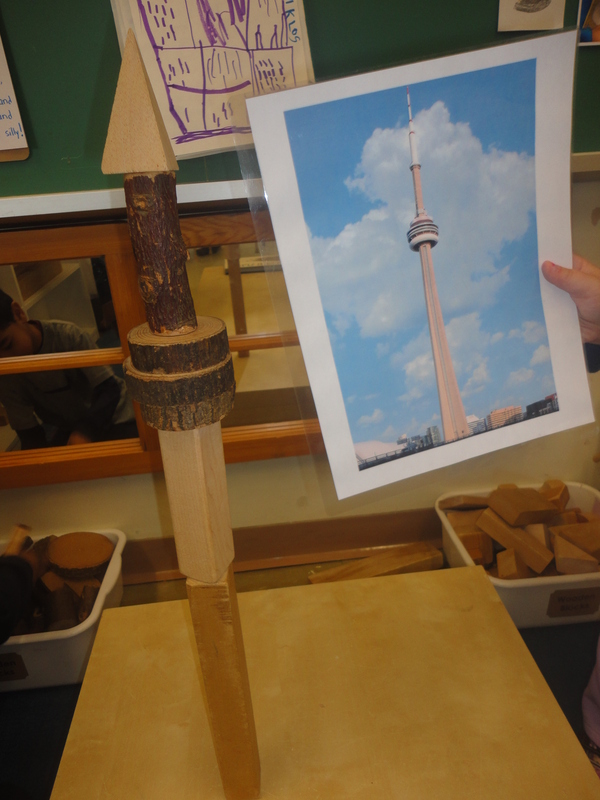 For example, one student brought in pictures from her visit to Dorset Tower and taught us about towers that are built as lookouts. 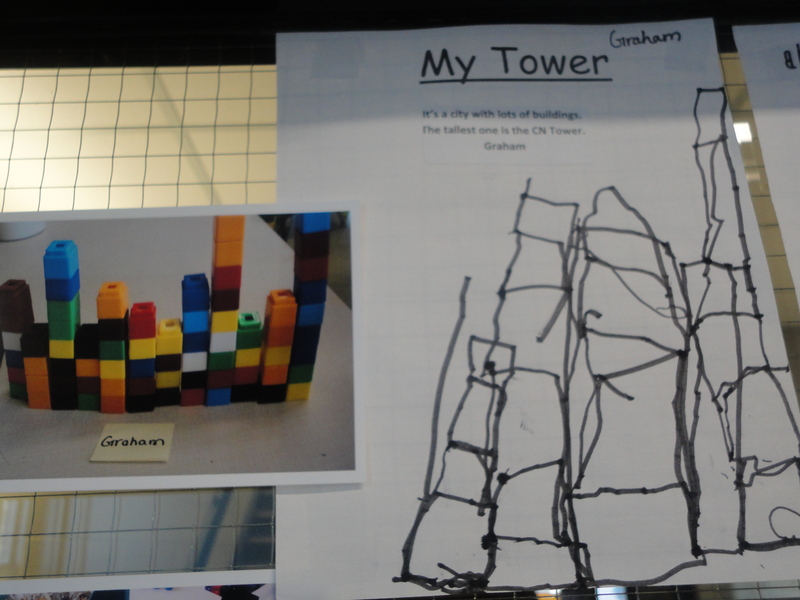 Her story about having to climb up several flights of stairs to reach the top of Dorset Tower also got us thinking about how people can get to the tops of towers. 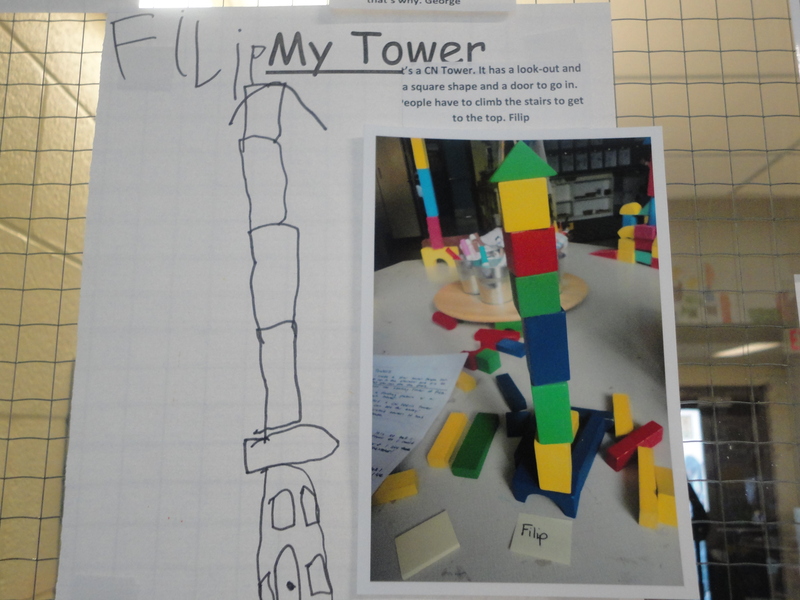 Soon, ‘stairs,’ ‘elevators,’ and ‘helicopter landing pads’ began appearing in the children’s structures. 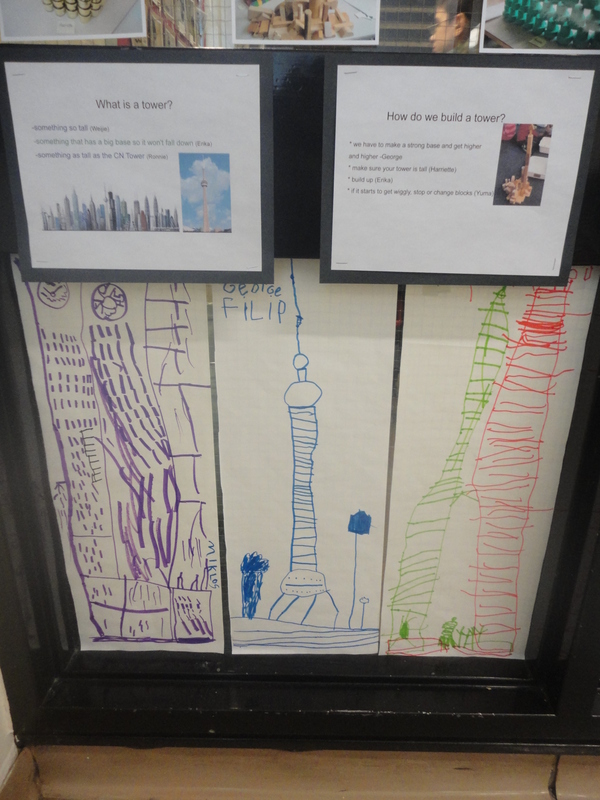 When we began talking about condo towers, many of the children were excited to discover that they actually lived in a tower! You see, most of my students live in a condo complex across the street from our school. Talk about making connections!